Mat Size 72 x 26"
We are engaged in manufacturing and supplying of Rubber Leatherite Yoga Mat are perhaps the best mats for Yoga, found in market today. These mats are exclusively designed for Yoga and have all the necessary features like cushioning, durability, and stability. Compared to other ordinary yoga mats, the Rubber Yoga Mat easily disappear body impressions on its surface, restoring its actual form faster. 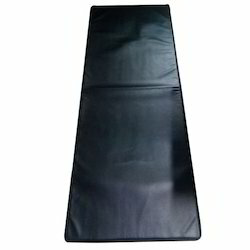 The negative point about these mats is pretty expensive than other ordinary yoga mat. 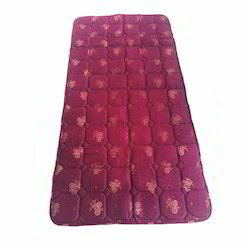 Mat Size 72 x 35"
This Quilted Cotton Yoga Mat are the most commonly used Yoga Mats. These are liked by every one from Yoga students to instructors. These mats have Quilted surface and are lightly textured to give a smoother & softer feel while practicing yoga. Looking for Yoga Mats ?